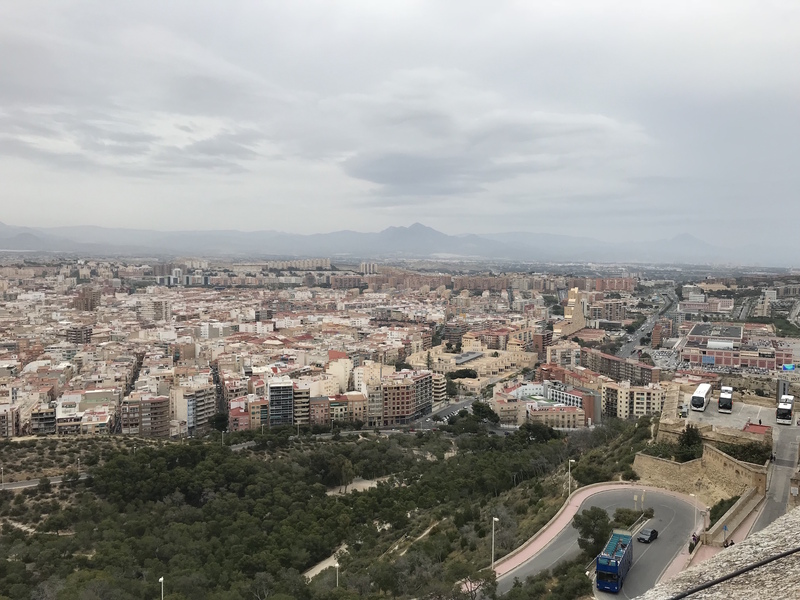 International Tourism in Spain – Today, April 25th, was our groups first full day in Alicante. Our day started off by being picked up by our two tour guides, Kris and Tony at our villa. We first headed to the picturesque Castillo de Santa Bárbara. It had the absolute best views of Alicantes beach, mountains and unique buildings. It was very educational to be able to walk back in time and experience Spain’s ancient history. Next we departed off to Museo del Turrón, which is Alicantes largest chocolate factory. We got to tour through the factory and the museum, experiencing how they produce their products. Our next destination was stopping for lunch at Tono Restaurant, where we all enjoyed a traditional Spanish meal, called paella (a rice and meat dish). The last adventure of our day was touring Cuevas de Canelobre, which is a cave over 1 thousand years old. I learned that when water seeps through the cracks of the rocks and oxygen gets to it, the rocks break apart within time, making them collapse and ultimately create unique structures throughout the cave. All in all, I would say today was one of my favourite days in Spain so far!